In the past, I have been in the fortunate position to have worked with some of the most amazing wedding suppliers in Suffolk and across the UK, with many of which becoming great friends. I know that many of my prospective and current clients check out my blog from time to time to see what I’ve been up to, which got me thinking. What better way to introduce some of my trusted vendor friends to my clients than to give them the spotlight for 5 minutes here on my blog where they could tell us about their business, their inspirations and what makes them tick. So here you have it, a new series of interviews has been born, I hope you enjoy them. Today I had the chance to sit down with the awesome Dreamwave Events, based in Essex, UK. Ross: For those readers who may not have come across your work before, please can you tell us a little about your background and how you got into providing wedding entertainment? DWE: Having been friends for a number of years, we realised we both had the same enthusiasm and drive within their own small disco companies, so it made sense to combine our resources, contacts and experience together to create Dreamwave Events in 2008. We felt there was a strong requirement within the wedding and party industry for a contemporary and stylish DJ, lighting hire company for the modern bride within the Essex and Suffolk areas. 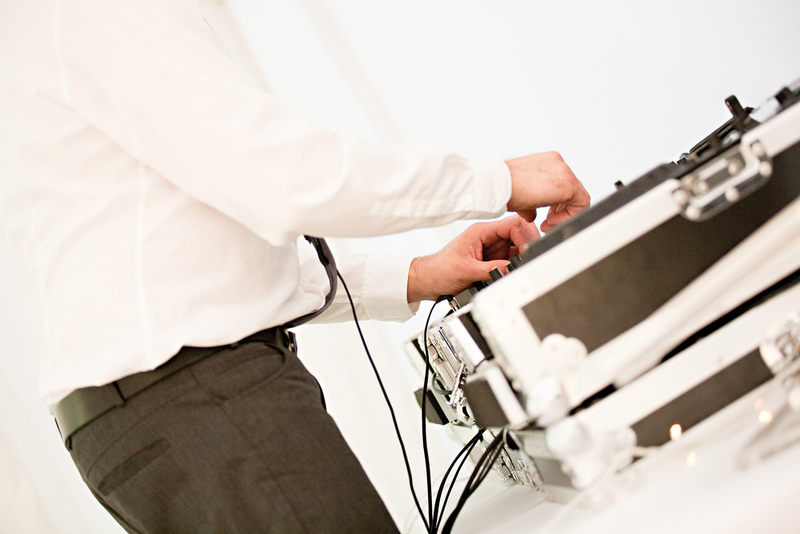 DWE: Listening to our clients and what they want from their wedding DJ and lighting is very important. We strive to deliver this and to be inspired by their ideas to continue improving what we offer. Ross: What trends are you currently seeing and how do you predict the future looks for wedding entertainment in the UK? DWE: We are finding that brides and grooms like to visualise the overall look of their wedding entertainment include things like matching the colour of the lighting in with either their flower theme or dress colours. Looking forward we predict the use of more theming throughout the wedding day and through into the evening. Ross: How far in advance do you suggest couples come talk to you about their wedding entertainment? DWE: A good suggestion is to meet with us here in our office (just east of Colchester) to discuss wedding entertainment around 1 year to 9 months in advance. DWE: Locally it has to be The Suffolk Wedding Showcase. This is a great new site going from strength to strength. For more general ideas Rock my Wedding & Whimsical Wonderland Weddings are both very good. Ross: What advice would you give couples when choosing their wedding entertainment vendor? DWE: It’s very important to find the right company for you. When choosing your wedding entertainment look for a company who can work with you in the planning stages. So they can understand how you want your party to be and the flow of the evening. A professional website with valuable and informative information about their various services will help your decision. Along with pictures and video of their work in an wedding environment. We advise a meeting or informal chat before your special day to discuss your plans, music requests and favourite songs. DWE: We bring the party! It’s as simple as that. All of us at Dreamwave really enjoy music and this shows when we work. We love seeing guests of all ages dancing and parting hard on the dance floor. My thanks to the guys at Dreamwave Events for their time taken to chat with me. If you would like to speak to the team about your wedding entertainment please visit their website at http://dreamwaveevents.co.uk You can also follow Dreamwave on Facebook & Twitter.